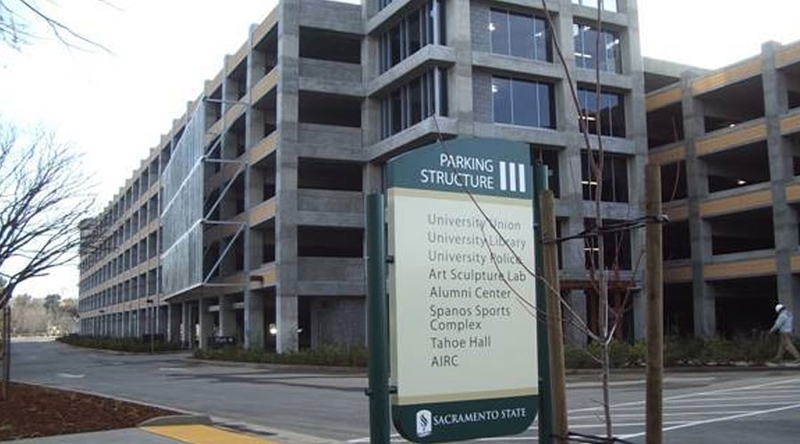 California State University, Sacramento is primarily a commuter school. 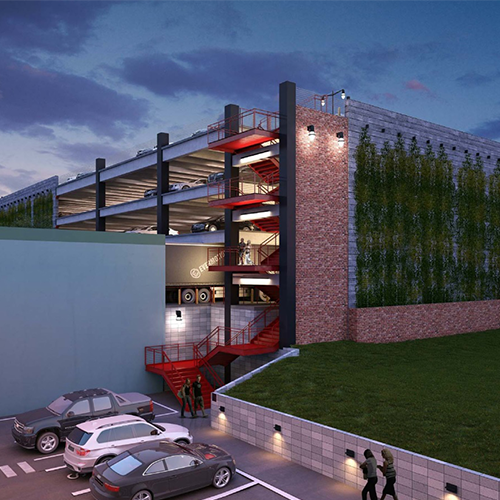 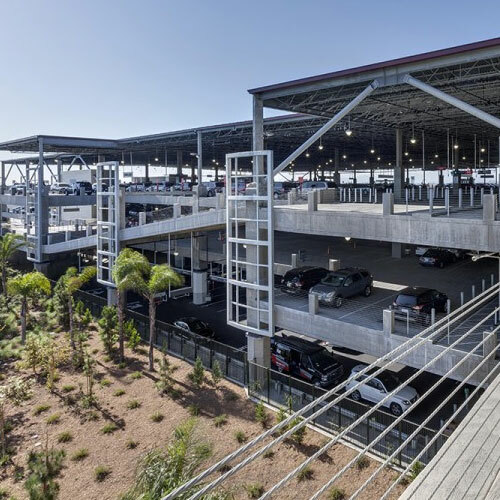 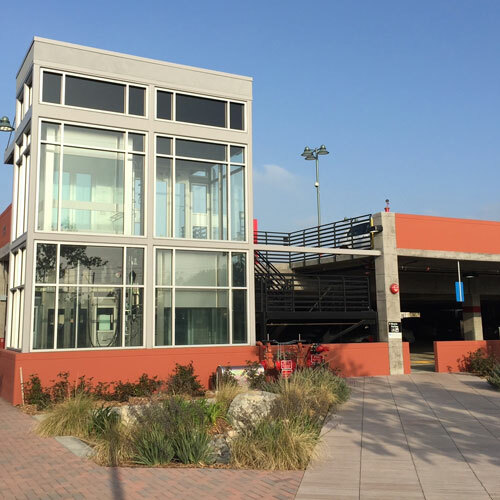 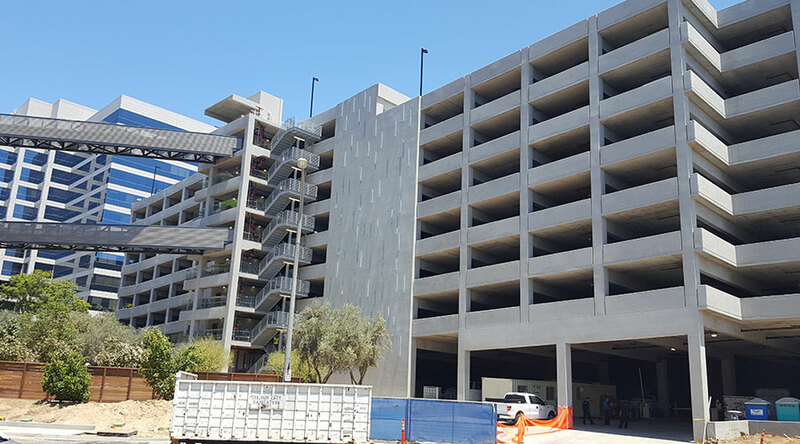 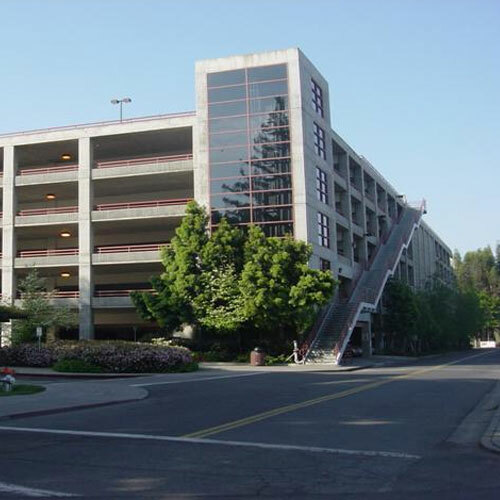 With most students living off campus, a parking structure met demand by going vertical, freeing surface lots for academic buildings. 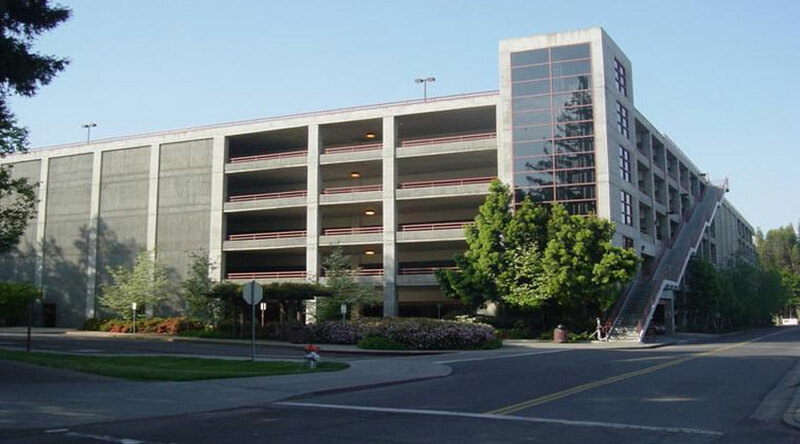 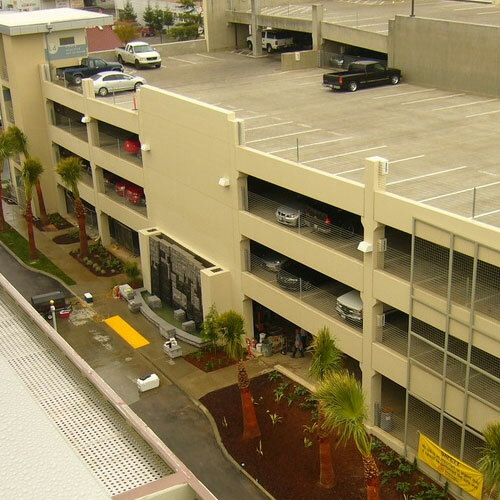 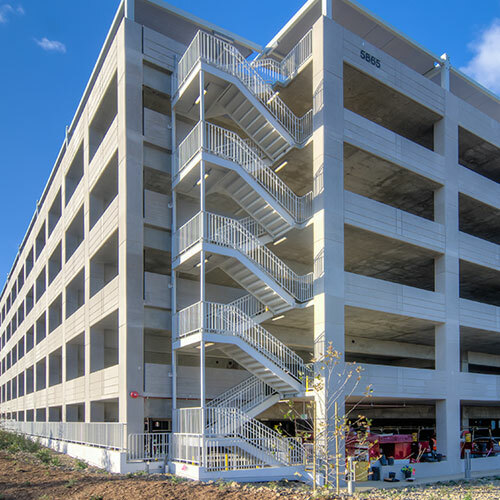 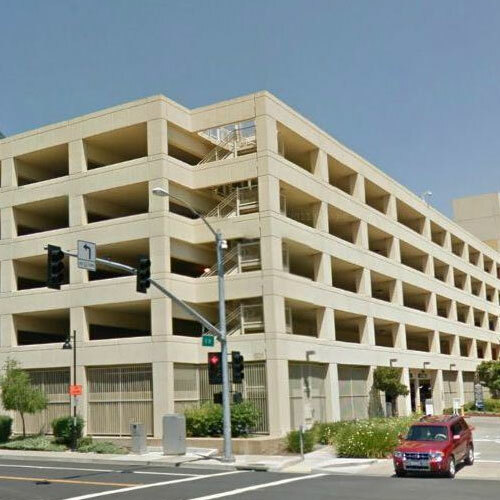 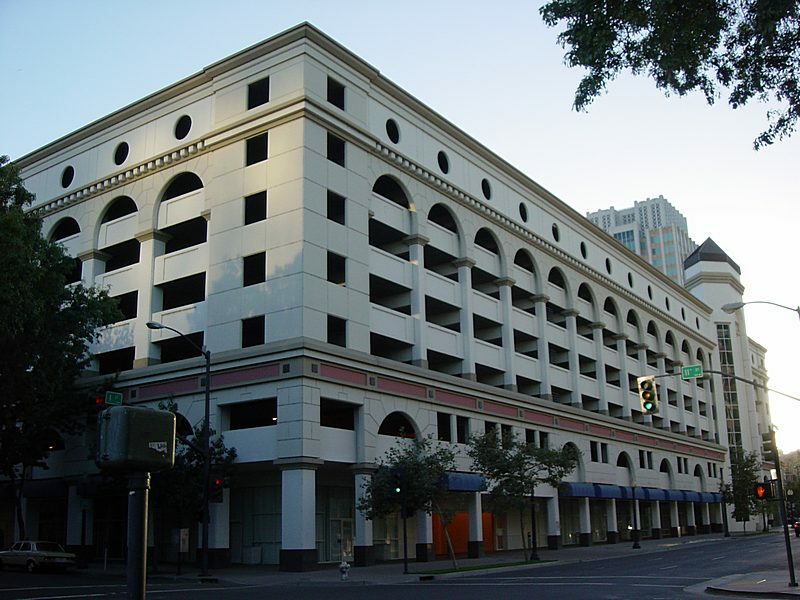 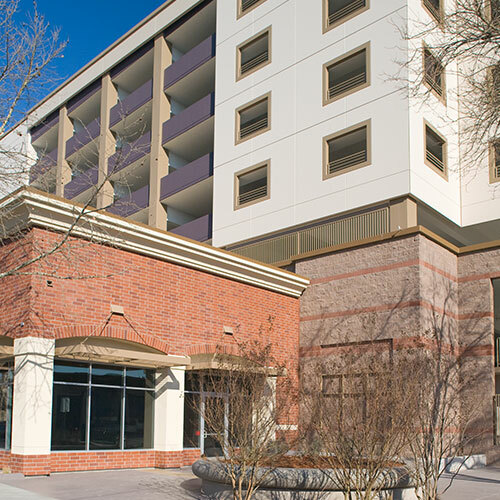 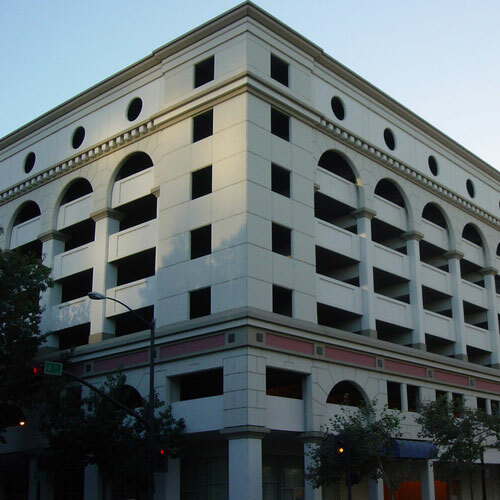 This was the first parking structure at CSUS with six levels. 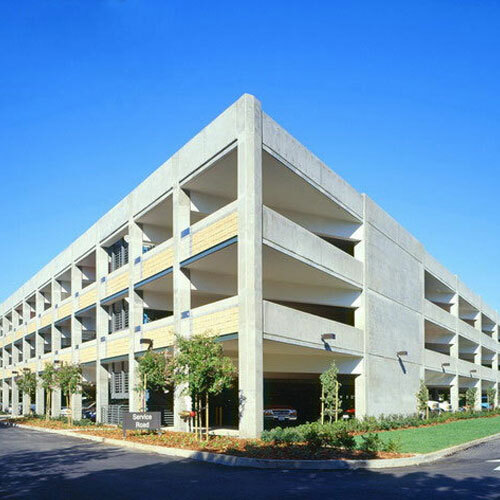 It was constructed using mildly reinforced and post-tensioned cast-in-place concrete. 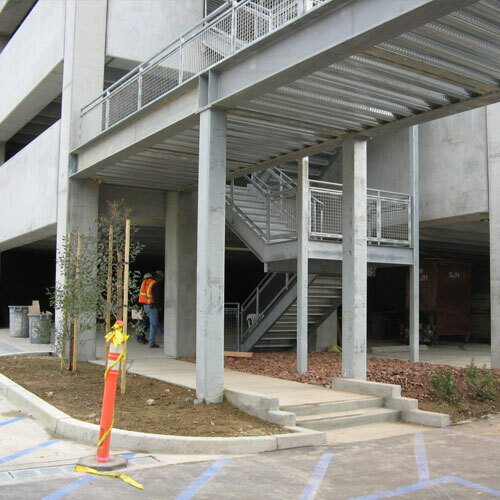 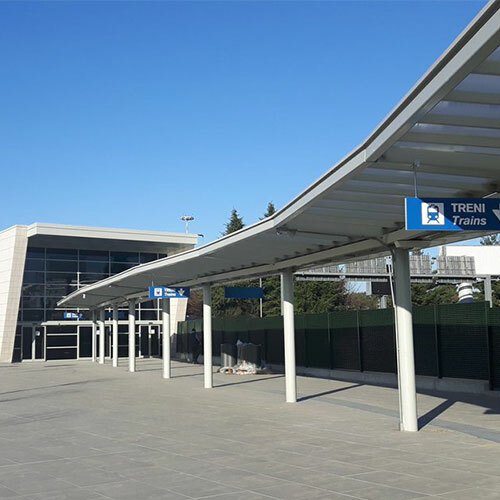 Special concrete shear wall systems were used in both the transverse and longitudinal directions.